I’ll be honest, its been quite a while since I shopped locally for ammo. I tried for a long time to check every time I was in town at my local shops, but I eventually got sick of checking. The availability hasn’t improved as much as I predicted it would just a few months ago. Today, after I dropped my fiance off at work at 6am, I decided to get our groceries for the week. The place was deserted and I had a lot of spare time, so I decided to just browse a little. Out of sheer curiosity I walked through the sporting goods section and was surprised to see they had reduced the size of their ammo cabinet by half. One side now contains all the ammo that used to take up both halves, while the other side has been replaced with airsoft guns. The side that had the ammo was barren and looked like it had been neglected for a while. But there . . . right there on top was fifteen boxes of Tula .223! Not only did they have some .223 but they had my favorite brand. They were only $5.27 a box so I went ahead and bought my limit of 3. Unfortunately it looked like most other calibers were pretty thin. Each had pretty much one brand to choose from so it looks like Walmart still isn’t the best place to shop for ammo. I would imagine local gun shops have a better selection now but I haven’t checked for a while and probably wont for some time still. Hopefully I can get back to the range this weekend and blow through what I just bought. I need to get some practice in and now I have some spare ammo to play with. What is the ammo situation in the rest of the country? Is it improving at all or is everyone still forced to buy their stuff online? I’ve been away for far too long so let me know in the comments please. I received a letter in the mail a few weeks back letting me know that my local shooting range, to which I was a member, was closing its doors. They were kind enough to reimburse me for the remaining time left on my membership but nevertheless it was pretty sad to hear. I hadn’t been going as much lately with all the changes in my life, so maybe their closing was partly my fault. Maybe it was the ammo craze that drove gun owners everywhere to hoard ammo instead of using it. Maybe it was the economy. I don’t know. What I do know is that I will now have to travel at least 45 minutes any time I want to shoot at an actual range. My dad’s house is only 15 minutes away and I can shoot there whenever I want, but sometimes an actual range is just much better. If you’re lucky enough to have a range in your area, get out there and show them your support. Let them know you want them to stay around and that you find what they have to offer very enriching. And spread the good word to other gun owners so that business can improve. If the ranges all close and we have nowhere to shoot out guns, how will we maintain our shooting skills? For some of us, living in isolated rural areas just isn’t an option. 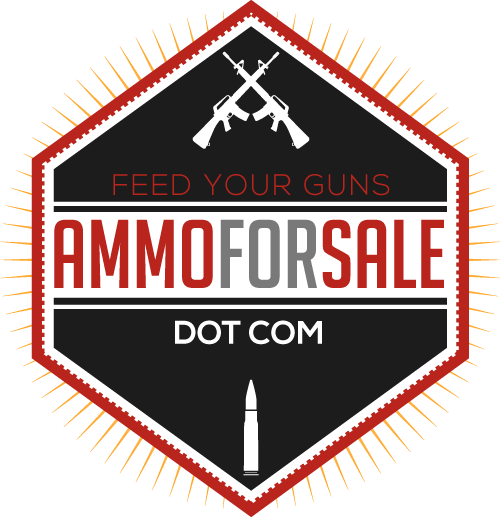 Considering there are over 129,000 licensed firearms dealers in the United States, its no wonder some people have never had to buy ammo online. At one time ammo could even be found on shelves at some of the local convenience stores. Times have changed though and that is no longer the case. With all the gun violence and firearm legislation circulating through the media over the past few months, this is a subject that has been beaten to death, revived, and beaten several more times. But I think in one way or another this may have actually been a good thing for gun owners as a whole. Not only did an increase in national attention draw gun owners out into the open where they had to stand and fight, it also made us realize that we might have to make other plans to deal with unforeseen ammo shortages. Most of the people I know in my area who shoot a lot used to go to the store and buy ammo just a day or two before they intended to use it. You can’t really do that now though because you can’t predict whether or not anything will be on the shelves when you get there. The only place that gives you access to ammo from everywhere all in one place is the internet. I ran a poll for the past two weeks that asked people whether or not they’ve bought ammo online. If they had bought ammo online, I asked if they had been buying for a long time or if they only recently started. 39 people voted. Of those 39, only 8 indicated that they do not buy ammo online at all. 16 of those who did buy ammo online said they had been for a while, but 15 chose the option “I started buying online in just the past few months”. To me (looking at my small survey and talking to people around me) this shows that the amount of people buying online has almost doubled in just the past few months. Is this a good thing? Maybe. But it could also be a bad thing. With the ever increasing popularity of online shopping, many small businesses have suffered tremendously. Every customer who buys online is a customer who could’ve possibly bought local. At the same time however, online retailers are probably feeling some pretty positive effects, and for the past few months, have been the only ones with ammo. “So what’s the point of this post” you ask. While I think being able to buy online is a great luxury, we don’t want to become a nation of people afraid to go shopping in actual stores. We also don’t want to cause our local businesses and communities to suffer. So keep it in balance. Support all parts of the firearms industry, not just one. If one of America’s largest industries stays strong and healthy it’ll be that much harder to take down. I just wanted to let everyone know that my Ammo Availability page is coming along pretty nicely. It now contains links for .223/5.56, 7.62×39, .50 AE, .45 ACP, and 9mm Luger. I’m going to work on the others throughout this evening so before the day is up I’ll have a few more. Once the basic formatting and layout is complete for each caliber, I’ll start more actively updating the “in stock” options. Overall I’m happy with how this is going to be set up and I think it will save me a considerable amount of time. If you have any comments or suggestions regarding the formatting of the new page, please let me know. I would also appreciate it if anyone can find errors in the links or anchors. I do my best to check everything before I update the page but I’m bound to miss something. I’ve added the links for 7mm Rem Mag ammo.